10 Basic Tips To Increase Page Rank! As recently people have been bothered about their Page Ranks, today I will try my best to give you some important tips and techniques to improve your Page Ranks. Let us first begin with getting to know about what a Page Rank really is? Page Rank is a link analysis algorithm which is used by search engines to determine relative importance of your link within their database. Here I’ll tell you how to increase page rank. 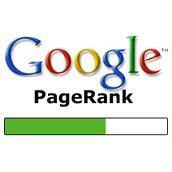 Page Rank is based on back links and other links present on your website. These links include back links as mentioned already, inbound links, internal links, external links and follow links. Websites like Google analyze your page on the bases of these links and give your website a rank from 1 to 10. In case you are maintaining a lower rank currently, you do not need to worry much about it. Below are some important tips that will help you increasing your page rank. Creating unique and high quality content is very important which might attract readers and lead them to share with their friends. This is the most famous and best technique to improve your Page Rank. You need to look into blogs who share the same niche as yours and post articles for them if they allow guest posting. This can help you earn a few back links in return if you are posting on a page that has a reasonably good Page Rank. Getting websites of higher Page Rank to link with your website can earn you an improvement in your Page Rank. Another beneficial factor resulting from this technique is the significant amount of traffic that you might earn. Keeping fresh and unique content should be a regular habit specially if you are a blogger. Google sets an eye on such websites and the more you will post unique content, better will be your chances of improving Page Rank. Sharing your blog or website on social media sites can earn you a lot of back links and traffic amount. You can bookmark some famous social websites like Facebook, Twitter, Squidoo, Digg and Stumble Upon. This is an important tip to follow as a blogger is always in thirst for website traffic. You can use Keyword search tool in order to identify popular search hits and write on topics related to it. This way you will stay updated with the modern search keys and also gain traffic. Remember, more number of visits to your website means a better Page Rank. Forum are great ways to achieve back links to your website. As most forums allow signatures, you can also put your website link in your signatures which might re-direct your audience to your site. Be sure that these forums are related to your blog;s niche or website content. Another tip that can gain you back links is advertising, You can make an e-banner for your website, advertise it on different web pages and promote as well. This will earn you traffic and ultimately a better Page Rank depending in the amount of visits. First acquaint yourself with advertising and promotion techniques that are stated legal by Google. This is important because you will definitely not want to use any illegal method of promotion or gaining traffic resulting in your website getting banned. Remember that you can never deceive Google. Google Re-Evaluates Page Rank about Three to Four times per year, so almost every Three months Google calculates Your Page Rank again. So apply these tips. You might find yourself a better Page Rank the next time Google evaluates. How to Start Earning Dollars With Google DFP? BloggingeHow | Making Blogging Simpler: 10 Basic Tips To Increase Page Rank!